Australia's Fastbrick Robotics have created a machine that can build a house 4 times faster than any manual bricklaying methods currently with the industry. 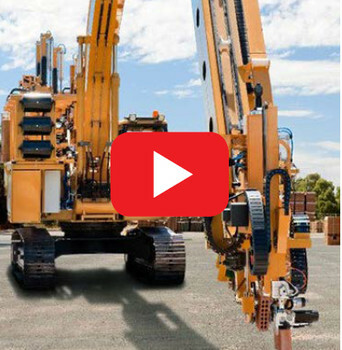 Innovative brick laying robot capable of putting down 1000 bricks per hour. The Hadrian X is an advanced on its previous model, laying 225 bricks per hour. It features a 30 meter boom for maximum efficiency, using bricks 15 times larger than industry standard, thus creating a stronger, more robust structure.